Desktop Metal Company has developed a special technology for metal-printing via 3D-printer. The first printers will be available for sale this fall already. One printer will be compact, so it could be placed even on the table. In 2015, four MIT professors founded the company Desktop Metal. Famous Emanuel Sachs was among them, that very inventor who developed the first 3D printer in 1989. Last year they introduced the first device for printing with metal. At the moment there will be two versions of a printer. A compact kit DM Studio at a price of $120,000 and DM Production costing $420,000, intended for use by industrial companies. DM Production is able to print 8200 cm3/hr, what is 100 times faster than nowadays manufacturing methods. The idea is to use the additive technology of 3D printing, which allows producing items from metal powder using a binder substance. One layer of printing is as wide as a human hair. The printer dries the first layer and then starts applying the next layer, and so on. Once the item is ready, it is placed in a miniature smelting furnace, optionally using the microwave for sintering. Microwaves fasten the whole process and strengthen the item greatly. The item does not melt because the heating doesn’t exceed the metal-melting temperature point. The heating expels the binder from the item. Both versions are able to use over 200 alloysat the moment. Why is DM 3D printing technology innovative? The downside of all similar devices is that the metal printing speed is very low and the process is so uncomfortable that their use for industrial purposes is inappropriate. Moreover, the items they produce require significant additional processing or don’t match to be used for any serious tasks. Before DM printers creation, ExOne was considered one of the most advanced and innovative printers. There are also other technologies of printing based on growing items from melts and welding. However, the item manufacturing accuracy is very low and requires further processing as mentioned above. 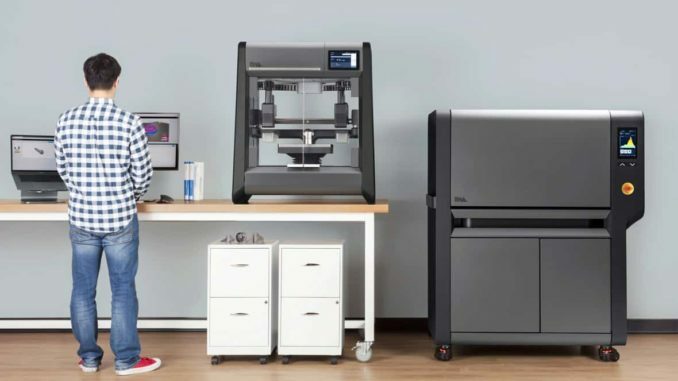 In October 2015, Desktop Metal Company managed to reach investment size up to $97,000,000 from Google, BMW Group, GE, Lowe’s, NEA, Kleiner Perkins Caufield & Byers, Lux Capital, Saudi Aramco, and the leader in the 3D printing sphere Stratasys through, due to its innovation, confirmed by 138 patents.